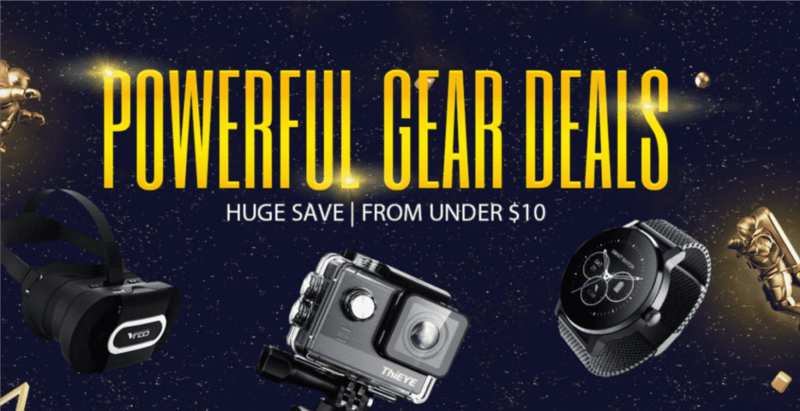 Gearbest EPIC Warehouse Clearance Sale is going on where you can find best smartphone and accessories deals.If you are looking for new devices with a great discounted price then this is the perfect time and place. 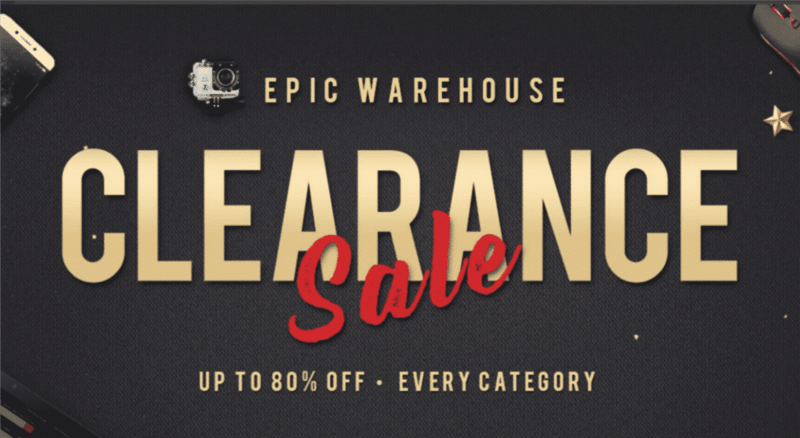 We have listed out few products from Gearbest EPIC Warehouse Clearance Sale.If you want full product list check below link. Vido W10i Ultrabook comes with a 10.1-inch WUXGA IPS screen with a 16:10 display ratio and a resolution of 1920 x 1200 pixels. It delivers excellent images and gives you a wonderful watching experience. It is equipped with Intel BayTrail Z3735F Quad Core processor which clocks in at 1.33GHz and is one of the most impressive processors in the market. Its processor when coupled with an equally impressive GPU in Intel HD Graphic Gen7 processor gives you an unforgettable experience when playing games with heavy graphics or watching HD videos. It comes with 2 GB RAM which is enough as it provides substantial bandwidth for multitasking and simultaneously running multiple browser windows, games, videos and other apps without any issues. It also comes with 32 GB ROM storage capacity which is enough room for storing important files or your favourite songs and movies. It comes with a unique feature of dual boot, meaning you can run in on either Windows 10 OS or on Android 4.4 OS. Its other features include a 2.0 MP front camera, a 5.0 MP rear camera, Bluetooth 4.0, Wi-Fi, HDMI output and more. 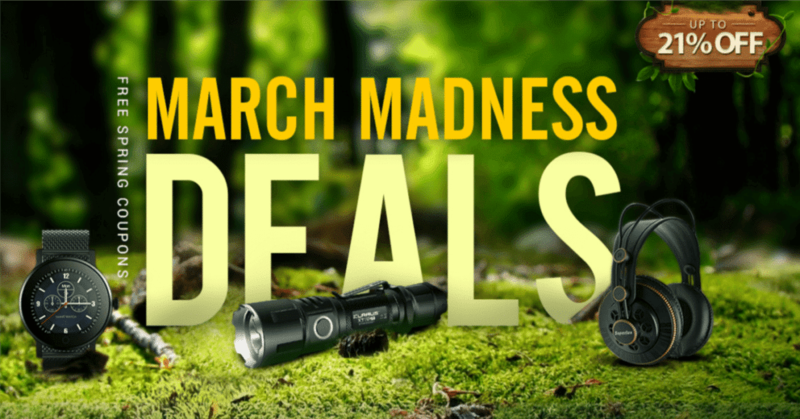 This device is available on GearBest for just $188.64 after a hefty discount of 61%. LeTV LeEco Le 2 Pro comes with a 5.5-inch display screen having 403 ppi and full HD resolution of 1920 x 1080 pixels. It displays amazing images with sharpness, crystal clear quality and vibrant colours. It comes equipped with Helio X20 Deca Core processor which clocks in at 2.3GHz and is used only in high-end devices as it is simply the best processor around. The processor works even better when coupled with ARM Mali-T880 GPU as their combination makes this device really fast and helps you play games with heavy graphics and watch HD videos smoothly without any issues. This device comes with 4 GB RAM which is considerable as it provides bandwidth for smoothly running multiple browser windows, audios, games and apps simultaneously without any issues like lagging or hanging. It also comes with 32 GB ROM storage capacity which is more than enough space for storing important files or your favourite songs and movies. It also has an amazing pair of cameras; an 8.0 MP front camera for taking stunning selfies and a 21.0 MP rear camera for capturing memorable moments spent with close ones. This amazing smartphone is available on GearBest for just $189.99 after a discount of 55%. Teclast X2 Pro comes with an 11.6-inch IPS display screen having full HD resolution of 1920 x 1080 pixels which gives you stunning images with crystal clear quality and vibrant colours. It is equipped with Intel Core M 5Y10C 64bit Dual Core processor which clocks in at 800MHz which when coupled with Intel’s HD Graphics 5300 processor makes it a better and faster device for playing games and watching HD videos. It comes with 4 GB RAM which is impressive as it provides high bandwidth for simultaneously running multiple browser windows, games and other apps without any issues. It also has 64 GB ROM storage capacity which is enough for storing important files or your favourite movies. You can further increase it to 128 GB using TF card expansion. It runs on the latest Windows 10 OS. Other features include Bluetooth 4.0, OTG, HDMI output, USB 3.0 slots, a 2.0 MP front camera, a 5.0 MP rear camera, Wi-Fi and more. This device is available on GearBest and can be purchased for just $364.51 after a mammoth discount of 62%.